Today I’m pleased to host fellow Soul Mate Publishing author Madelyn Hill, who will share some of her tips of the trade when it comes to marketing through Twitter. 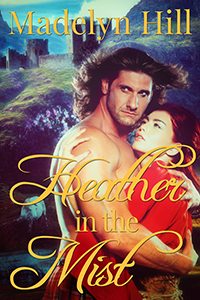 Don’t forget to check out info on her latest release, Heather in the Mist, at the bottom of today’s post! I’ve been on Twitter for quite a while, however I’ve just started embracing the social networking tool as a way to connection, share and learn. My goal for the rest of the year was to increase my followers in a big way. So, I did some research and learned you have to tweet—a lot—to engage and increase followers. Also you do not want to constantly push your books, you need to share your interests and offer something of value to followers. And finally followers like images and quotes. I found some tools to help me achieve my goal. Follow celebrities, but don’t expect them to follow you back or interact, however, this may happen! I’ve had some great interactions with celebrities and brand I love to use. CoPromote is cross promotion source for engaging with others and having them re-tweet your boosted tweets. I use the free service and do not feel I need the paid service. I boost a tweet and others who have a shared interest re-tweet my tweet, thus increasing tweet impressions (number of followers who will see your tweet). I can gain more re-tweets by tweet others post. I get to select and determine what I will share. RSS Feed is a way to have a direct feed from blogs. Real Simple Syndication (RSS) allows for me to have the feed automatically sent to an aggregation site. In this case Twitter via Twibble (see below). I use RSS feed for writing sites and cooking sites. The sites I like are Romance University, Helping Writers Become Authors, Positive Writer, Pioneer Woman, and Extra Virgin Cooking Blog. This way content is sent directly to my twitter feed and I do not have to search out the content I want to read. Also, I love cooking so the information is feed to my Twitter feed as well. Twibble allows for me to copy an RSS feed and arrange the blog post to be automatically sent to my Twitter feed. I pick the day and times I want the post sent and the rest is history. I use the free Twibble and haven’t found the need for the paid service. Madelyn Hill has always loved the written word. From the time she could read and all through her school years, she’d sneak books into her textbooks during school. And she devoured books daily. At the age of 10 she proclaimed she wanted to be a writer. 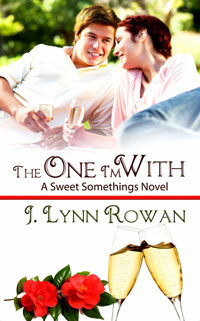 After being a “closet” writer for several years, she sent her manuscripts out there and is now published with Soul Mate Publishing. And she couldn’t be happier! *This infographic and website content was prepared and distributed by Grammarly.com. Kenneth Hart is the author of the Ron Tuck series. The first book in the series, Reinforcements, will be re-released on September 18th. Today he will be sharing his thoughts on researching and writing in an historical context. When I write in an historical context, I always try to be accurate with detail. It helps to create a picture for the reader and even though you may not use many of the researched details in your stories, I think that it also helps to put you, the writer, into the proper frame of mind. If you were alive during the time that you are writing about, you may use memory to help you, but I have found that is not the most reliable source of information. As the cliché says, your memory plays tricks on you. Sometimes they are delightful tricks, but if you are writing about the election of John Kennedy and have a Beatles song playing in the background, you’ve blown it. I have found the internet an incredibly valuable source for research. I recall writing a story that was based on my father’s life. It was called The Good Life. My dad was involved in the juke box business. He spent a lot of time in luncheonettes and candy stores. When I wrote about him, I looked at the dates of the releases of various songs that were popular and matched them to the years about which I was writing. I think that listening to some of those songs really helped me with the mood of that story. More recently, I wrote a story called Dates and Cigarettes. It was set in the early part of the 20th century. For it, I researched fashion and automobiles. I looked at pictures of what Newark, New Jersey looked like at the time. It was very illuminating to learn that there were many dirt roads in the city back then. I never used a dirt road in the story but the image in my mind was a valuable one. It gave things a certain context. For example, I learned that cars did not have heaters for the longest time. And so, it was natural for the back seats to have blankets. That was something that I did use. For big historical events, like the assassination of John Kennedy, I found a website that showed almost all of the original footage that CBS aired in the three long days that followed that tragedy. My character is injured and unable to walk and so he cannot help but spend all of his time in front of the TV. Having that original footage provided me with images to which he would respond. I did a similar thing later in that book with the Watergate Tapes. Having the original footage was incredibly valuable and provided a verisimilitude for the feelings that my characters expressed about what they were thinking at the time. I had never really liked the expression of saying one had the blues until I connected it to the musical genre. I’m not sure that connection is accurate but it allowed my mind to appreciate the use of the phrase. Another aspect of creating historical context that I love to use is sports, particularly baseball, football and boxing. It is hard to remember the power that boxing used to have on the American people until you realize how many boxing gyms existed in a city like Newark. One of my characters is a fighter named Walter Pierce. In one scene, I have him meet with Jack Dempsey and Dempsey tells him, “When you are fighting every couple of weeks, like what you have to, you need to toughen up your skin.” Walter asks how he does that. Dempsey responds, “I soak my hands and face in brine, every day.” Dorothy saw a fierce look in his dark eyes. It was a look of savage cruelty. It was dark and yet frighteningly casual. That kind of detail, I think, creates interest in the character and helps to create the portrait of the era. It rounds things out with the small, very human, details. In my mind James Michener was the very best at it. It saddens me that he is not more widely read today. In his day, it was necessary to spend countless hours in libraries, or later on, have his staff do that. There is something overwhelming and yet magical about doing library research. I used to go with my mom, who was searching for her father using microfiche of old newspapers. We scrolled through countless articles in the newspaper and I learned the strange ways that people wrote back in the 1930’s. I got a chance to document some of that in a story called Misguided Directions. James Joyce wrote that “history is a nightmare from which I am trying to awaken.” And yet contradictory to that, we have the proverb that those who do not learn the lessons of history are doomed to repeat them. In my mind, I attributed that quote to George Orwell and yet perhaps it was really George Santayana. Memory does play tricks and the truth of history is, I think, somewhere between those two points of view. A coming of age novel spiced with the rock of the late 60′s and early 70′s, Reinforcments is a story of friendship, education, protest, a country divided over the Vietnam War, sexual exploration, mind expansion, cultural mores, and the foundation upon which those conflicts occurred. Please enjoy this guest post by Melissa McPhail, author of the spellbinding epic fantasy, Cephrael’s Hand. Then read on to learn how you can win huge prizes as part of this blog tour, including a Kindle Fire, $450 in Amazon gift cards, and 5 autographed copies of the book.